A for-sale sign has gone up in recent weeks on the Living Hope First United Pentecostal Church of Washington DC, located at 1200 1st Street. (H/T to reader @MichaelMills_DC) It is located next to James Creek and across the street from the DMV. According to the listing on LoopNet, the church was built in 1957 with an elevator added in 2002 and new windows in 2011. It is approximately 7,500 SF and contains a fellowship hall, office space, commercial kitchen and baptismal pool. The sanctuary seats over 260 people. Prior to Living Hope, the church was home to Second Baptist Church Southwest, which originally built the church in 1957 after purchasing the site from the Housing Authority – it was last for sale in 2012 when Second Baptist moved from the space to District Heights, Maryland. It appears that Second Baptist still owns the church and is leasing it to Living Hope. The current sale price is $1.6 million and the property is zoned R-4. A two-way private street will run along the east side of the stadium site. This street is an extension of 1st Street and will be open to the public on non-game days, but closed on days when D.C. United has a match. The street will allow a pedestrian and vehicular connection north-south through the site. It will be 23 feet wide with sidewalks on both sides of the street, ranging from 13 feet to 30 feet. South of S Street, there will only be a sidewalk on the west side of the street. On the south side of the stadium site, there will be a coffee shop and the team offices. The PUD boundary now includes the large plaza located on the northeast portion of the stadium site near the main entrance. The southern edge of the plaza will have a canopy park with trees, seating area and structural canopies for vendors to use or for farmers’ markets. In the middle of the plaza, there will be a sculpture with the letters “D.C. United”. On non-game days, the D.C. United sculpture letters will be surrounded by a splash fountain. The plaza will be activated on match day with a variety of activities, including food trucks and other food vendors, merchandise sales, sponsor booths, kids zone, games like soccer tennis, beer garden, tailgating, live music, and a broadcast set, a la College Gameday. Other yard games will be held on an adjacent parcel (Parcel B) where future development is planned. 3,950 parking spaces in the vicinity of the stadium have been identified for use by D.C. United on game days. 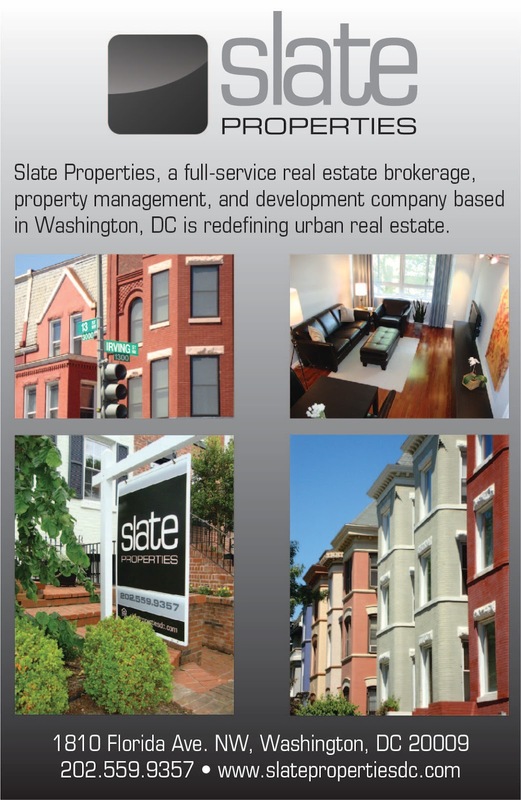 These include many of the same surface lots and garages used for Nationals games, as well as street parking. There will be zero parking spaces in the stadium. Pedestrian routes to the stadium have been identified – most fans will use Potomac Avenue via South Capitol Street and 1st Street SE. Development on the adjacent Parcel B will likely start in 1-2 years and may include multiple uses, including a hotel, office, ground floor retail, and/or event space. The revised drawings are more clear, refined and have more color. Along 2nd Street on the west side of the stadium, parklets will be installed which will include seating areas and bike parking. There will be 83 bicycle parking spaces and a bike valet at the corner of 2nd and T streets holding up to 150 bikes. Below are a few more renderings. If approved by the Zoning Commission, construction of the stadium could start before the end of the year and be ready in time for the 2018 MLS season. Demolition was completed earlier this summer. Update: The WBJ (subscribers only) reports that the team will issue a RFP for the 2-acre Parcel B within the coming weeks to a select pool of developers, but construction will not start at least until the end of the inaugural season at the new stadium in 2018. However, that timetable could be pushed up based on market forces. There are currently two museums under construction in Southwest. Construction on The Museum of the Bible at 4th and D streets started in 2015. 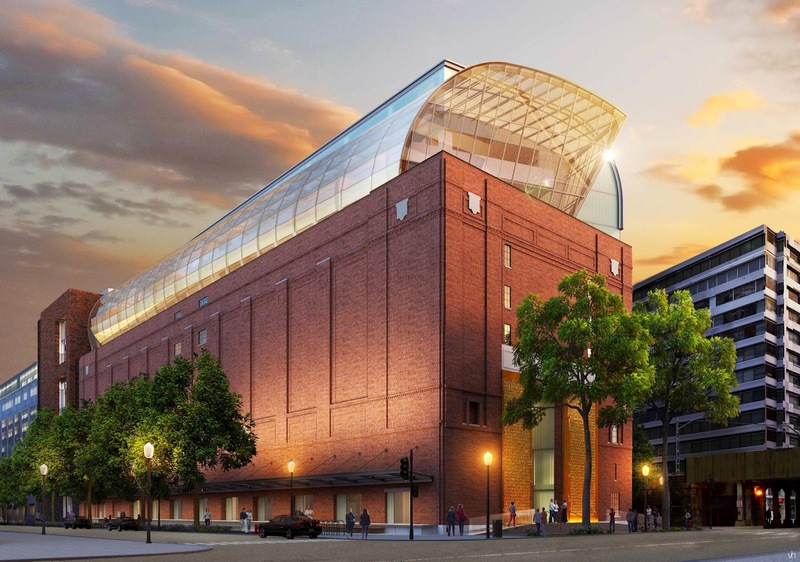 The 430,000 square-foot Museum of the Bible will include three exhibit floors that will tell the impact, narrative, and history of the Bible. Construction is expected to be completed by the fall of 2017. 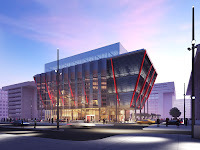 Over on 10th Street at L'Enfant Plaza, construction began this summer on the site of the relocated International Spy Museum. 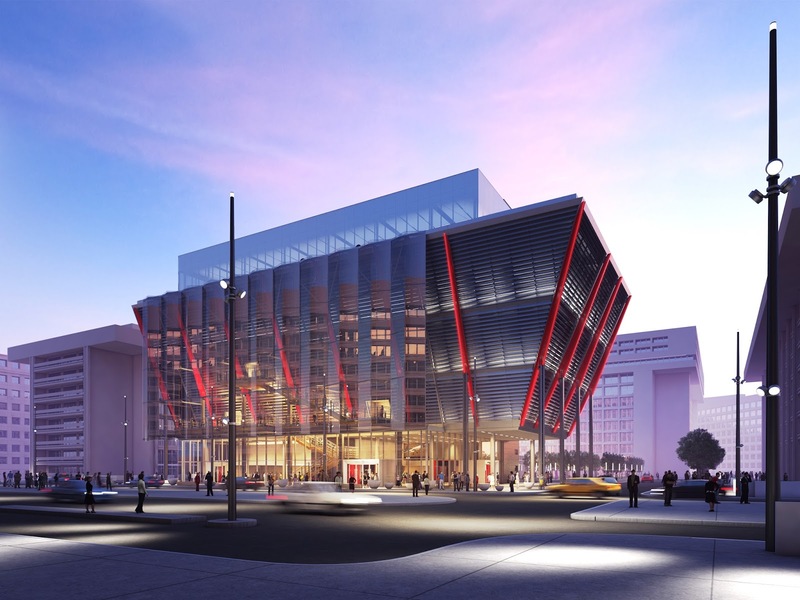 The new International Spy Museum will occupy 140,000 SF, much larger than the current facility in Penn Quarter and will allow for three levels of permanent exhibition space in addition to event space. 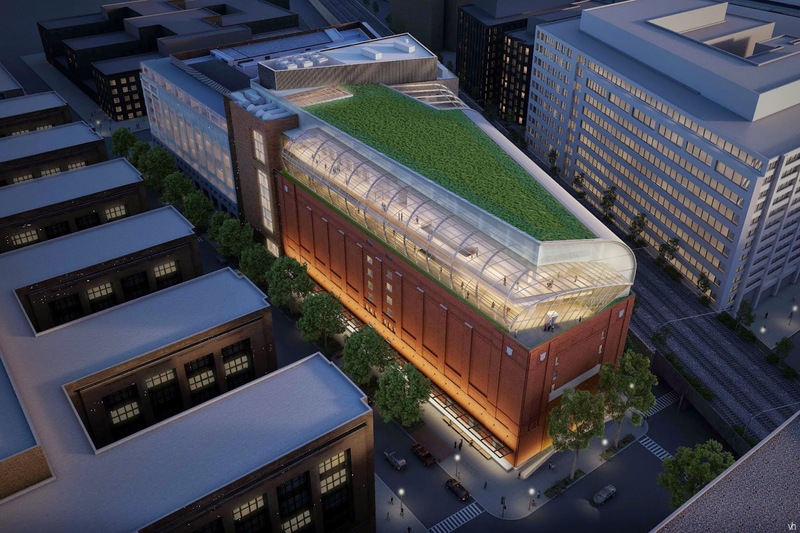 It's scheduled to open in the spring of 2018. Last weekend, I took a lot of pictures around the neighborhood to capture most of the major construction projects. First up is The Wharf. The buildings in phase one are getting closer and closer to their maximum height. Looking across from Hains Point, the waterfront skyline has changed significantly. The only building that hasn't reached above street level yet is 1000 Maine Avenue. Aside from 525 Water and St. Augustine's church, the Parcel 4 buildings are furthest along, with glass going up on VIO condos and brick appearing on the exterior of the apartment building facing Maine Avenue. A ceremonial groundbreaking ceremony will be held on Sunday, September 11 for the new St. Matthew's Evangelical Lutheran church and apartments, planned for the intersection of Delaware Avenue and M Street. The event will be held at the lot at 222 M Street starting at 11:30am. It will be a festive occasion open to the public and will include a BBQ, along with a DJ, face painting, and other family-friendly activities. Utility work for the project has been underway on Delaware Avenue since June. Once construction begins, it will take about two years to finish the church and apartment building, putting completion sometime in late 2018. Riverpoint is slated to include roughly 425 apartment units and 110 condo units, Orr said, though that mix could change, and the team is in the midst of screening architects. Early plans are to add a floor or two to the 609,265-square-foot building and to seek permission for some restaurants to extend onto the waterfront or even float on the Anacostia River, though those details are still being worked out. 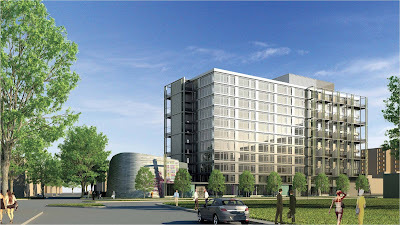 This is one of two office buildings in Buzzard Point that are planned to convert to residential. 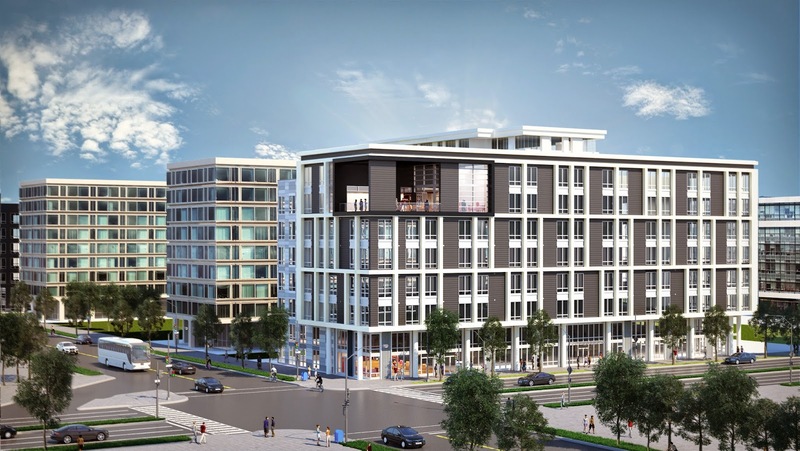 Earlier this year, Douglas Development filed plans with the Zoning Commission to convert an office building on Half Street to 462 apartment units and 24,032 SF of retail space. Riverpoint is located just to the south of 100 V Street, an empty lot owned by Akridge that was partially taken by the city through eminent domain to build the new D.C. United stadium. Previously, 100 V Street was envisioned as an office campus for a federal tenant; however, the changing dynamic of Buzzard Point and a soccer stadium next door will likely mean those development plans will be altered. 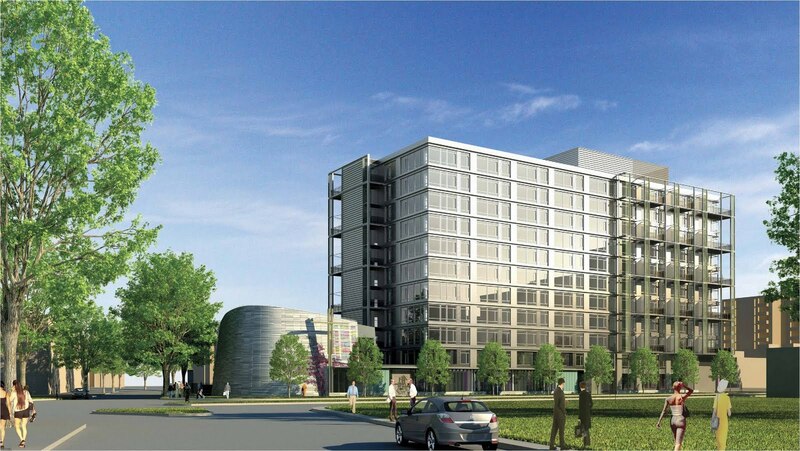 With 100 V Street and Riverpoint, Akridge will have a large presence in Buzzard Point. 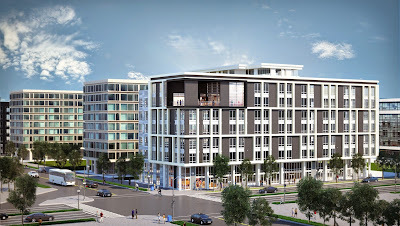 Construction of Riverpoint could start within 12 months, adding to the bevy of construction activity coming to Buzzard Point over the next 2-3 years, including Douglas’ project, a new D.C. United stadium, Pepco substation, Marina View condos and a new Frederick Douglass Bridge and traffic oval.